Seibertron.com Energon Pub Forums • Twincast / Podcast Episode #217 "Toy Fair 2019"
Twincast / Podcast Episode #217 "Toy Fair 2019"
The Seibertron.com Twincast / Podcast sits on the sidelines and armchair quarterbacks its way through the massive gauntlet of Transformers toy product news from both Toy Fair and Wonderfest. Counterpunch, Rotorstorm, and Scotty P bring the rain and talk about what looks cool, what looks blase, and what just kind of exists in the Siege, Studio Series, Masterpiece, and Cyberverse product lineups hitting shelves sometime this year. Episode #217 "Toy Fair 2019" is available directly and in our RSS Feed, and should appear on iTunes, Google Play, and Stitcher Radio within 24 to 48 hours of when you see this news post. Scotty pulls rank and puts the Wonderfest reveal of a new Armada Convoy and Star Saber at the top of our list. But where are his pants? Initial impressions of MP-46 Masterpiece Blackarachnia and speculation on how the toy transforms. Movie Masterpiece MPM-8 Megatron and MPM-9 are discussed next. Click here for the Seibertron.com gallery of these toys from their Toy Fair 2019 display. Studio Series gets its time with the cast falling in love with the strange Constructicon Hightower. Click here to check out all of the Studio Series toys seen during Toy Fair. The surprisingly popular Ectotron Ghostbusters crossover toy gets noticed. The fan favorite Generations War for Cybertron: Siege comes next. 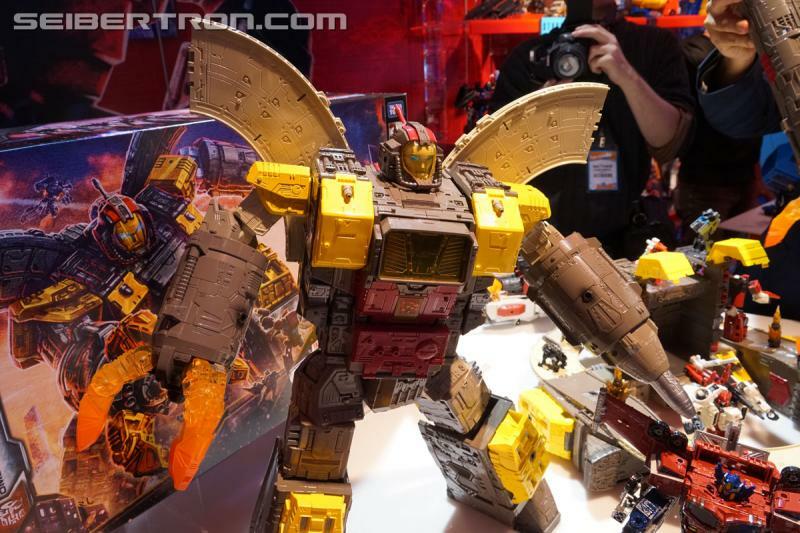 Click here to check out all the War for Cybertron: Siege toys shown at Toy Fair 2019. Extra time is spent discussing the impressive looking Titan Class Omega Supreme. The focus on Siege continues as we discuss highly anticipated toys like Jetfire and Impactor. We take a short moment to reflect on the pulled-from-the-floor 35th Anniversary repaint lineup. 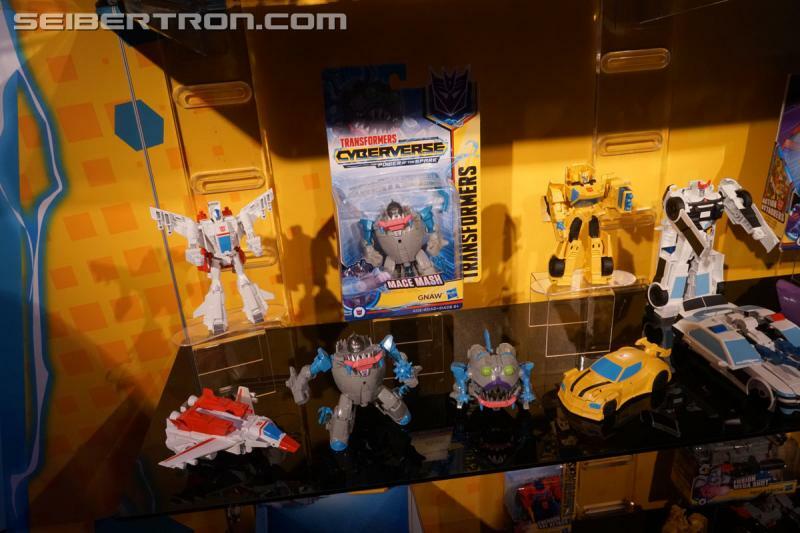 Toy Fair talk wraps up with a look at the Cyberverse toys shown off at Toy Fair. Click here to check out the gallery for Cyberverse. Bragging Rights take us to the end of another year's Toy Fair weekend. Re: Twincast / Podcast Episode #217 "Toy Fair 2019"
OK, actually listening to this when I can write as a listen! That MPM Jazz gimmick makes me so sad. It hurts me! No Mention of the MP Bluestreak? I was kinda hoping to hear at least 30 seconds of thoughts on the new paint job and headsculpt. 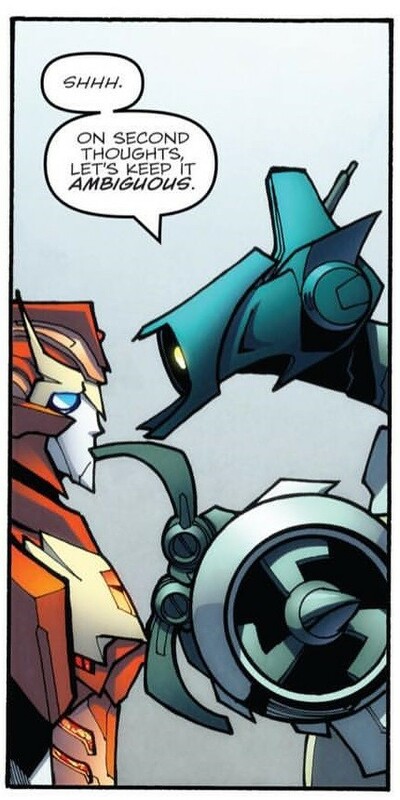 It's very Andrew Griffith RiD Prowl-esque. I think Helicopter Drift looks pretty good, I admire the samurai armor and Bugatti front making it onto this figure. I really wish we would get a SS Nitro Zeus with the chains and stuff, that would be cool. The Baby Dinobots Drift will be out in the next week and a half supposedly! Muscle Car Dropkick is so cool. So glad he is getting a "redemption mode" in that he is getting a far better figure with his much cooler alt mode. DotM Optimus might be the best sort of playset/figure package we have gotten recently, and certainly in the movies. That is so cool and awesome. I look forward to playing with all the weapons and giving my many Primes his weapons. The Jetfire combo will get the sword, and maybe the Bee movie Prime will get the Ax to go with his blaster. I didn't get the first one. I still haven't seen the Wave 5 voyagers and leaders, I'm not ready for Rampage and BB Prime yet! Glad you like Bonecrusher, that is my favorite movie con, and i really look forward to finding him! Did I miss you saying stuff about Hightower? That ugly dude is really cool and kinda cute! Ah Ectotron, I did get my Gamestop pre-order in, and I am stoked for him. I went "HELL YEAH!" 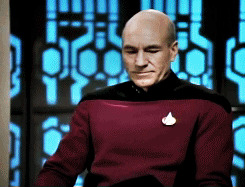 at work when I saw the reveal. I am also so stoked he comes with Slimer, that is perfection right there. I love that he gets the Proton pack on his back and the actual Ghostbusting equipment!!! I don't understand the Crosswise reference, care to elaborate? Star Saber and Dezarus are long overdue, though i think I want a Dezarus first. I also want a Victory Leo for Star Saber to go with. Jetfire is very eh to me. I love the Thrilling 30 one, and the cartoon look doesn't really do it for me. The Pricepoint is also quite large, though manageable if you choose the right characters. Just saying, the Thrilling 30 Springer had a banging awesome car mode, that was finally the car mode he deserved! I'm looking forward to Thundercracker. Favorite seeker does the mold more justice. He will be the only regular retail release Siege Voyager I buy. G2 Megs is the only other voyager I plan to get. That Snow camo is really cool, I'm so glad we were proven right about this. Snow camo for the win! Ultimate Grimlock looks pretty darn good, in Scotty's words. I want to see some reviews and see him in stores, he and the Scraplets look to be worth the pickup! I still don't have any Cyberverse stuff either, so I'm looking for something that'll be a breakthrough for me. My Walmart tonight had only single pack botbots and 1 G1 Reissue Prime. that was it. the TF section is deserted there. Big Convoy! I've secured him but not shipped him, I cannot wait to get him. What do you think of him? Question regarding comics: do we have any word on a Volume 5 for Lost Light? I'm waiting until it and Unicron are in to binge grab the remaining 4 TPBs I need, along with the Redemption of the Dinobots trade since I never got Salvation. Awesome episode guys! Great pace too! though I don't mind long episodes. D-Maximal_Primal wrote: Question regarding comics: do we have any word on a Volume 5 for Lost Light? I'm waiting until it and Unicron are in to binge grab the remaining 4 TPBs I need, along with the Redemption of the Dinobots trade since I never got Salvation. Lost Light volume 4 is a seven issue trade collecting 19-25 so no volume 5 to worry about. OP went five volumes because it had two annuals in there, and the First Strike tie-in. Fun fact: I took the photos for that Ecto-Cooler image because that Human Alliance Roadbuster just happened to come into the trade department at work that day. Glad it worked out, now I'm gonna go listen to the episode! Crosswise was a ghist/monster hunter in the Cybertron show. 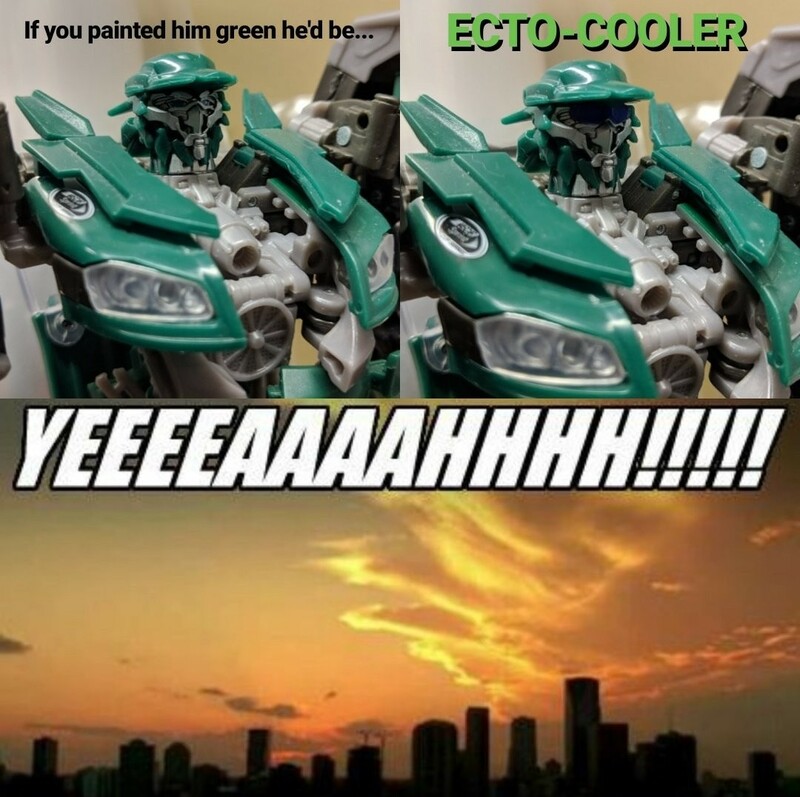 I don't know why the Twincast Crew thinks that Ectotron is a one-off, Hasbro has his release tagged with a series name (Collaborative) and invested in characterizing the figure with a comic mini-series. These things should kinda indicate that we should expect some more figures like him, especially with extensive catalog of famous pop culture vehicles to work with. I could see us getting 2 of these Collaborative figures a year, once in the Summer and another in the Winter. The leader of the Dinotrux name is Ty. Ironhidensh wrote: The leader of the Dinotrux name is Ty. I couldn't get it out for the life of me. I kept wanting to say D'strux. 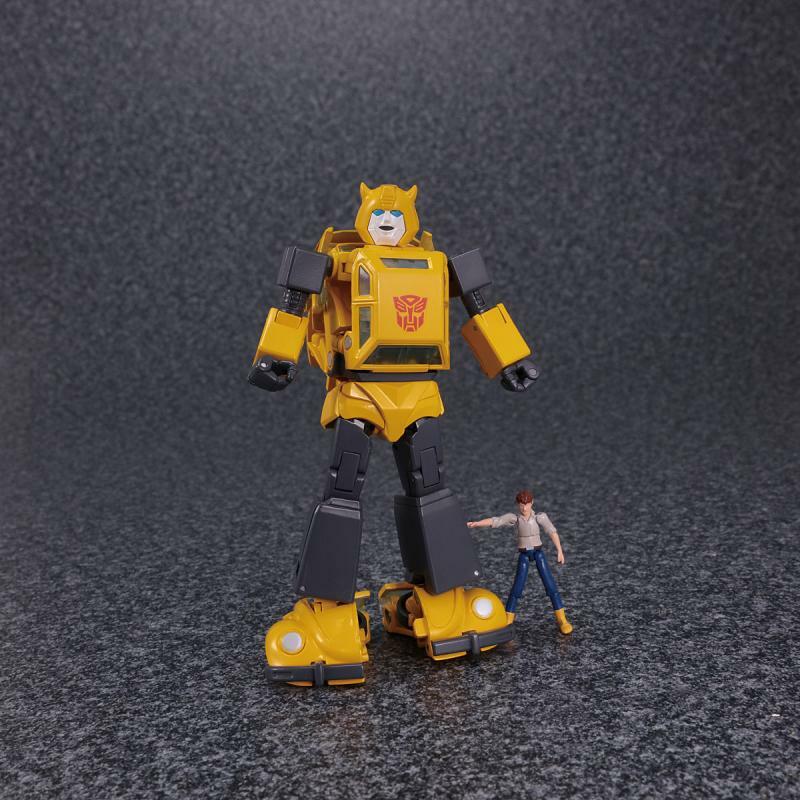 NOBLExGAMER wrote: I don't know why the Twincast Crew thinks that Ectotron is a one-off, Hasbro has his release tagged with a series name (Collaborative) and invested in characterizing the figure with a comic mini-series. These things should kinda indicate that we should expect some more figures like him, especially with extensive catalog of famous pop culture vehicles to work with. I could see us getting 2 of these Collaborative figures a year, once in the Summer and another in the Winter. This could happen, yeah. Could also be like the Nike shoe bots/Sports Label, au x Transformers phone guys, the G-shock crossover, FJ Cruiser, Calvin Johnson Megatron, Street Fighter Transformers, or Evolution Soundwave which were all very limited in scope. I'm assuming a very limited scope to what happens here until they follow through on making something to the contrary happen. Given how quickly Ectotron sold it does seem likely more figures like that will follow. Oh perfect! So all I gotta do with wait on Unicron, nice. Counterpunch wrote: Crosswise was a ghist/monster hunter in the Cybertron show. Armada Optimus Prime: I don’t like the art style of it, in that to me it looks more like the design choices a 3P company would make. It’s too anime and angled looking, compared to the boxier neutral design choices HasTak tends to take. But I too am curious to see more and I do want something new. Dreamwave is a great example. I did that too. I couldn’t figure out how the cab nose of Armada woulda fit in the armor. Star Convoy: Meh. Not a huge fan of the mold in general. I have Nemesis already, so its a pass unless it does something hella new. Ironic moment: I have been saying for a while that if Hasbro wanted to give us Armada rime, they could do a co-tool of Star Convoy and kill 2 birds. Here we are getting two very different toys of the characters at the same time. So close on that call and yet so, so very far from the true. These are also very very early looking prototypes. It would not surprise me if these go the route of Prime Breakdown or the combining trio dudes but it also wouldn’t surprise me if its just still to early and Hasbro is waiting to announce the imports closer to time. Now you need to do the sceptor with Diac and Ginrai as trophy scalps. Is this gonna be another case like Cyb Thunderclash??? QuickStrike was more Scorpion than Spider, but maybe we get Scorponok first and then Quickstrike can amalgamize from both of them. Of the 2, the first Bee is far better overall. The Pennyracer vehicle mode is really cool and I like it, but the head looks too big for the body and its too many folded panels. Bottom line is that its just serving a different market. Same with the Siege and T30 Springer, or Siege and CW Magnus, we want to pick a better toy, but the truth is both figures are fantastic but doing two entirely different things, like Green Apples to Red. 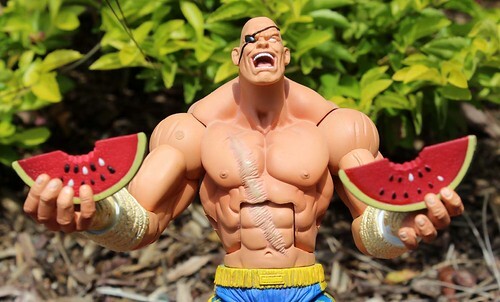 I didn’t pre-order the Studio figures, gotta draw a line somewhere. I agree, Drift as a Triplechanger is an afterthought at best, but I liek Helicopterz, especially Futuristic Helicopterz, so I want this. Even if we do get SS Triplechangers down the road, I suspect it will A) have been a noted enough amount of time, and B ) That Dropkick figure is still really cool and does neat things to turn a fully dimensional robot into a paper thin helicopter. As someone who has not hit ny of the SS Primes, I think if I had to choose it would be Jetwing Prime for me. As bland as the arsenal trailer is its a more complete figure package to me. Jetfire would be on his own anyway if I had them. It was less than that. I love the use of the G1 Box It’s ironic, the Ghostbuster toy uses a Fire Truck Transformer as its base, given that the Ghost Busters use a Firehouse AS a base. Make it its own verse. Please, for the love of Primus do not try to shoehorn the comic story into another Universe. Cybertron Crosswise? The Monster Hunter and the Ghost Buster together? I really want Skyfire. I am not sure I can justify pre-ordering though. Too much stuff to order and while that toy is 110% worth the $80, I’m just not sure I will get my money’s worth. I disagree, to an extent. T30 Skyfire was a fantastic toy, but its more a Neo-G1 in the style of Classics, not a faithful reproduction of the G1 design. I think the clear rocket hand is suppposed to be an alternative to thrust. On the ground its going to be flat flames bursting out, and when it takes off the fingers close into a ribbon of flame. ....Aaaaaand you guys just said that. I can see the concerns about the clear plastic though. Supreme is for me my most anticipated Titan in terms of seeing the reveal and now waiting for the release. I want this. I want this a lot. I like the new take on the elevated track, I like the rocket base’s transformation is mostly integrated. I do hate the tank overhangs, the G1 did too, but its more noticeable since the track is elevated. You guys didn’t see it until after recording but the tank has vacuum cleaner rollers under it between the treads. I think its all Light Piping. Did we see Countdown in gun mode? He clearly has a 5mm trigger. Do you guys want to see this toy redecoed down the road as Omega Sentinels? 2 Short swords that plug into the rotor assembly. I want this Springer, but as I have so limited space, Do I put this with the Wreckers or not, and I think one of the things I am going to like about this toy is that I am going to leave Generations Springer with the Wreckers on my shelf and that will free this toy up for me to NOT be associated with a big group of toys. IMpactor: I don’t like it either. I don’t like the head sculpt, even with the in hand image, I don’t like the Tank mode, I don’t think this is a good render of the Marvel. WIll I probably like it when I hold it in the store? Probably. But I am sticking with TFSS Impactor. Since you mentioned him: Mirage is my favorite of the 84 cars in Siege. The alt mode is blocky in places, but the whole presentation, the robot mode, the shoulder cannon, my favorite of the Cars hands down. I can’t wait to get that. Isn’t Siege a Quarterly line? And it didn’t even start to trickle until after Christmas? SO Wave 2 shouldn’t be hitting until March/April. I thought we originally were supposed to get G2 Megatron as the TR figure? I think I woulda liked this deco on that toy. On this? Hard Pass. It’s not a good deco for that particular mold layout. Is it a reworking or just another take of the same source material? If we didn’t have the TR figure I would be all over them but I am happy with what I have. Of the 35th, I only want Bluestreak, but is Bluestreak worth being a subline figure and potentially exclusive? I have not decombined my Predaking since I got mine. One of my other hobbies is Model Trains, and we have a Toy-Fair like show in Milwaukee every year. Except, year before (2017), one of the major factories in China that about a dozen different Train Manufacturers contracted with just up and shut, so we had almost no new product because thewere was no place to make it. You mentioned nothing really “new” at Toy Fair, but I feel like we hadn’t seen Omega in all his glory. And even though Takara got Jetfire out first, this was stilll inside of what, a week, since we saw the renders? This was our first real chance to walk around the toy and study it, since no one was at Wonderfest to do so and engage the designers like we can with John Warden. You want a dry show, the last TrainFest show in 2018 was the first show since the manufacturers were able get the last stuff made from the closed Factory stateside and start setting up new contracts with new factories. Many of the physical reveals were stuff that we had either heard about a YEAR ago and had been delayed by factory closing, or had already been announced in a “Hey don’t forget about us we aren’t dead yet this is going to be the first product we make as soon as we can make product so buy lots of them! Pleease?” Kinda way. And frankly most of it was lackluster stuff in the smaller 1:87 (HO) and 1:160 scales (N) Just another perspective, but for me, even though we didn’t have anything really “revealed”, the Toy Fair highlights were still fresh and new. Just another perspective. Flashwave wrote: Isn’t Siege a Quarterly line? And it didn’t even start to trickle until after Christmas? SO Wave 2 shouldn’t be hitting until March/April. For retailers it seems to be quarterly. Almost everything is reset-wise it seems. I got Siege wave 1 except for the Leaders online in mid-November, so right about now is three months from that. I think most collectors will be able to find them in stores around April 1 which is why Hasbro shows dates like that. We did get a G2 TR Megatron in LG, it was just the purple camo. Enjoyed the train perspective. Have you looked into Takara's Shinkalion stuff? They turn into robots but I think are also compatible with model train tracks. The curse of being in the MIDDLE of the Country. I did find the Deluxes pre-Christmas when I stayed the weekend in Kokomo, IN to work a Santa Train, but the first time I saw any of the others was after the Holiday, and the Walmart grabbed the Pallet and pulled it to the back because they werent done zoning and wouldnt sell them to me. I had just gotten Magnus from BBTS that day. I remember the Eggplant Camo with Noble/Savage. But I could swear I saw that mold in this mint stripe scheme. Maybe it was a mock up or something a fan Photoshopped and tried to run with, because it pre-Siege Megatron. Or maybe I-m just crazy. The Shinkalionbhas been on my Radar, but thats a Rabbit Hole I am trying to keep my suffering wallet away from. You know how it goes, buy a train amd you want track, and them you need more cars... Its like collecting Minicons. It works with a pretty popular Tomy track system that has been arpund for a while, and I widh I still had my loop of that stuff. But I left it behind when Dad passed away and we couldnt get everything out of his house. I am waiting for Tak-Tom do do a Raiden homage though. Flashwave wrote: The Shinkalionbhas been on my Radar, but thats a Rabbit Hole I am trying to keep my suffering wallet away from. You know how it goes, buy a train amd you want track, and them you need more cars... Its like collecting Minicons. I got one to use as IDW Midnight Express and then a second because it's a Miku train and that's super funny to me. Also works pretty well as Sara from Cloud if she had a robot form due to the colors. Good show, folks. I think William stole it. I actually agree with Counterpunch that New-Bee did not need to happen. I really dislike it. They're sacrificing so much for the Sunbow-ification of the toy, and if this thing's quality as a Transformer and a toy overall suffer for it, I don't see the purpose. On the other hand, MP44 looks stunning in person, but he's a large enough character that they can compensate for the cartoon accuracy. I disagree on Megatron - he really exemplifies the shortcomings of the movie designs to me. I also disagree on Omega Supreme generally, and his translucent claw - I love those kind of 'power-up' touches, and he appears to be scaled to Titan Devastator, which is appropriate. Last edited by megatronus on Thu Feb 21, 2019 3:16 pm, edited 1 time in total. Nah but I'm at the point now where I don't care about the clear claw hand. I'm not sure how much I ever did. "Megatronus disagrees? 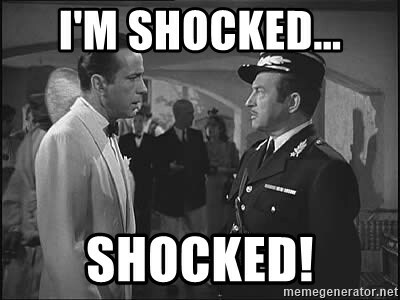 I'm shocked! Shocked!" 4,510 pages were recently viewed by 733 unique visitors. This page was viewed 1 times on Saturday, April 20th 2019 8:01pm CDT. © 2019 Seibertron, Inc. DBA Seibertron.com. All Rights Reserved. Established June 2000. Seibertron.com is owned by Ryan Yzquierdo.